More ‘Monsters University’ Concept Art Showcased! 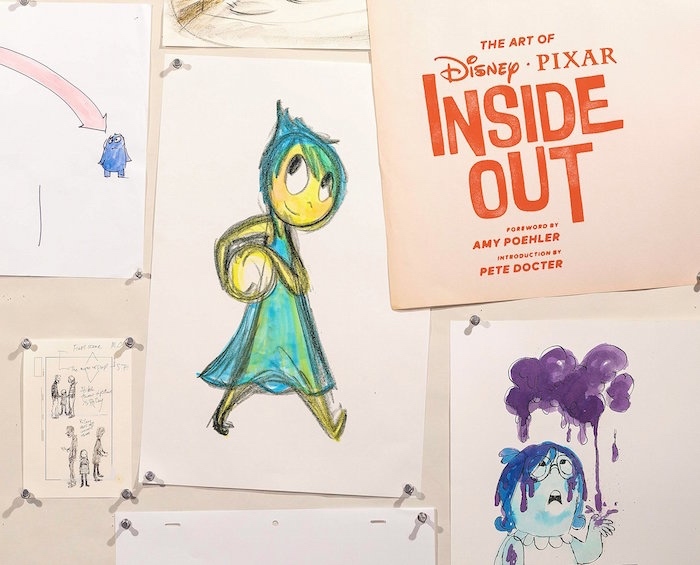 For years, Disney’s Hollywood Studios in Walt Disney World has exhibited concept art from Disney and Pixar’s upcoming film slate, giving a great overview of the artistic process behind each movie’s characters and settings. The attraction has just been updated for the impending release of Monsters University, meaning parkgoers can now see some never-before-seen production art from the film. We can’t wait to see more of the work behind Monsters University – this is just a glimpse of what’s to come when The Art of Monsters University arrives this June. Gorgeous New ‘Monsters University’ Concept Art! The Art of Monsters University might not be available until June 11, but you can get a glimpse at some of the fantastic art behind Pixar’s newest movie now, courtesy of Disney. Brimming with color and detail, the full gallery of art can be viewed over at our Flickr account. Check out a few samples to the right – Pixar’s artists are as talented as ever. Look forward to The Art of Monsters University on June 11, with the film following on the 21st. In 2006, illustrator Gérald Guerlais and Pixar art director Daisuke Tsutsumi humbly conceived a project called Sketchtravel, intended to connect artists throughout the world through one sketchbook. Almost 6 years, 71 artists, and 35,000 miles later, Chronicle Books has given us the opportunity to appreciate the effort it took to fill one book with the talent of dozens of renowned artists in Sketchtravel. The concept was a deceptively simple one: pass around a single sketchbook among the global art community, with each artist filling one page. Perhaps most importantly, the book would only be exchanged by hand, making artists from the United States, Japan, France, and beyond connect in person. It took nearly five years to complete the book, but the result is an incredibly inspiring coffee table book that cultivates a variety of talent, art styles, and cultures from all over the world. Pixar’s Daisuke ‘Dice’ Tsutsumi and Gérald Guerlais headline the book alongside Fabien Simode and The Art of Toy Story 3 author Charles Solomon, who pen a pair of solid introductions. Of course, the text isn’t the focus of Sketchtravel. A diverse pool of 71 artists were selected by Tsutsumi and Guerlais for the project; Pixar fans may recognize Bill Presing, Enrico Casarosa, Ronnie Del Carmen, Carter Goodrich, Daniel López Muñoz, Robert Kondo, and more. Other great artists like Mike Mignola, Bill Plympton, Glen Keane, Quentin Blake, and even Hayao Miyazaki also contribute pages. What’s more important than the star power, though, is the varied and striking art. Many participants chose to employ the idea of the sketchbook as an element within their drawings, but Daisuke and Gérald placed no restrictions on the content of the pages. The results range from simple gag drawings to stunning landscapes. There are intricate pencil sketches, marker and pen drawings, watercolors, and even collages. The array of mediums and subject matters is, if nothing else, an awe-inspiring snapshot of the colorful artistic community. Some may be put off by the lack of a consistent style or theme, but to me that’s one of the most telling results of the project. The world is a diverse place, and Sketchtravel illustrates that brilliantly. Aside from the introductory texts and some brief words from each illustrator, there’s not much in Sketchtravel beyond the art. If you’re a fan of many of the artists or just want a dose of inspiration, though, Sketchtravel is a must-own. Seeing so many people come together out of a pure love for art is something special, and the end product is just as invigorating. To order the book, head over to Amazon.com or Chronicle Books. For the full list of artists and more details on the project, check the official Sketchtravel site. Let us know your thoughts if you pick up Sketchtravel! ‘The Toy Story Films’ Now Available + More Pixar Postcards on the Way! Disney Editions Publishing and Chronicle Books both have some exciting Pixar-related releases on the way that are worth checking out. First off, The Toy Story Films: An Animated Journey is finally available to order on Amazon.com. From The Art of Toy Story 3 author Charles Solomon, the coffee table book details the people behind the Toy Story trilogy through an assortment of interviews and artwork. With a foreword by Studio Ghibli’s Hayao Miyazaki and an afterword by Pixar’s John Lasseter, this book should provide plenty of inspiration and knowledge for artists and Toy Story enthusiasts. If you were as impressed by The Art of Pixar and The Art of Toy Story postcard sets as we were, then you’ll be thrilled to hear that Chronicle Books has yet another collection of Pixar postcards on the way. The Art of Pixar: Volume II will contain 100 stunning pieces of concept art and stills from Pixar’s 2007 through 2012 releases, as well as the studio’s short films. The set, rolling out this October, is up for preorder on Amazon.com and Chronicle Books. In addition, The Art of Monsters University will also be coming from Chronicle this Spring; stay tuned for further details! Upcoming Pixar Reviews Chronicle Books’ The Art of Brave! Animated films are often renowned for their artistry, but rarely does the general public get to peek behind the curtain and see the work that goes into them. Pixar’s art books have always shown off the efforts of the talented artists at the studio, and Jenny Lerew’s The Art of Brave from Chronicle Books exceptionally continues this tradition. At 160 pages, The Art of Brave is brimming with stunning concept art created during the film’s production. Although light on text, the book provides plenty of insight and quotes from the minds behind the film, including a preface by John Lasseter and a pair of forewards by directors Mark Andrews and Brenda Chapman. Those upset about the Brenda Chapman "controversy" will be thrilled to read about the vitality of Brenda’s original vision and Mark Andrews’ respect towards the heart of the story. 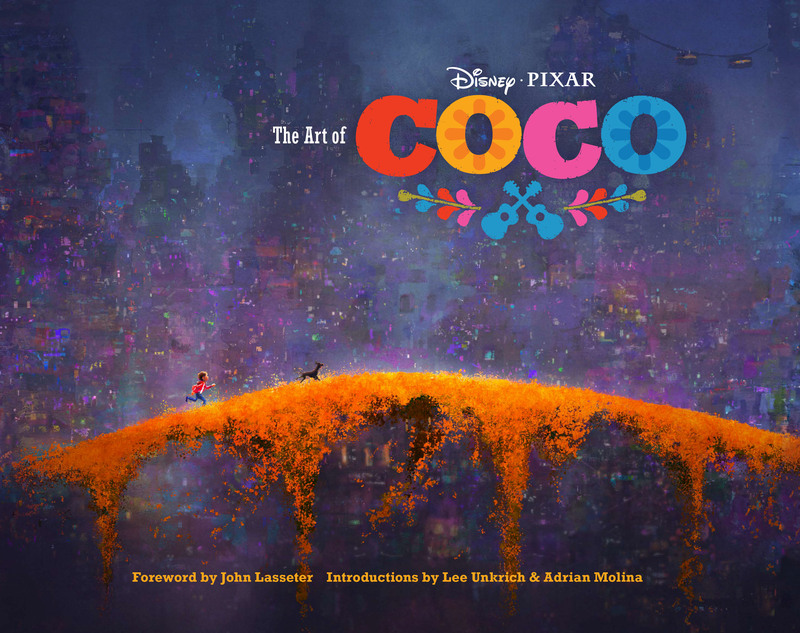 The book contains everything one would expect from a Pixar art book, such as color scripts, sculpts, and an abundance of character and environment art. There’s even a whole chapter dedicated to storyboards, covering every key sequence from the film; given author Jenny Lerew’s background as a story artist, this isn’t surprising. Every turn of the page is delightful, with a solid variety of artistic mediums throughout. Chapman, Andrews, and the Pixar art crew worked hard to set Brave apart from other fantasy films, which is clearly evident in the visual design. The setting of Scotland provides a fantastic, yet rugged world to support the story; the environment art in the book is stunning, with rich landscapes and unusual color schemes. The impacts of the artists’ research trips to Scotland can be seen in the amount of life within every piece of artwork. Being a completely original Pixar film, The Art of Brave should include plenty of character concept art. Though this is certainly the case, there’s relatively little variation from the final designs compared to other Pixar art books. This speaks to the artists’ firm original vision of the film, but the lack of exploration is somewhat disappointing. No cut concepts or characters are present here, either. Despite this, the designs are still incredibly appealing and full of personality. The Art of Brave is an excellent supplement to Brave, providing an in-depth look at the thought process behind the movie. Fans will enjoy reading the artists’ words about the development of the film, while anyone can appreciate the brilliant drawings, paintings, and sculpts throughout; they’re some of the finest that Pixar has ever done. There could be more details regarding character design experimentation and cut concepts, but The Art of Brave is still one of the best art books from Chronicle Books to date. The Art of Brave will be officially released on May 30, 2012, but is currently available to order on Amazon.com or the Chronicle Books website. Be warned that the book doesn’t hold back when it comes to spoilers, but you won’t regret checking it out after Brave arrives on June 22. Let us know your thoughts on The Art of Brave! “The Art of Brave” Cover + Description! The Art of Brave is now listed on Amazon.com. "Brave is Pixar’s first fairy tale, a lush, animated adventure through the forests, heaths, and highlands of medieval Scotland. Featuring behind-the-scenes interviews with the film’s many artists, The Art of Brave also showcases the gorgeous concept art that went into the creation of the movie, including colour scripts, storyboards, character studies, environment art, sculpts, and more." Preliminary cover art lists Jenny Lerew as the author. A foreword by Mark Andrews and Brenda Chapman with a preface by John Lasseter is also set for inclusion. As always, the artwork featured on Amazon.com is subject to change. The Art of Brave hits stores on June 1, 2012. The Art of Pixar takes a closer look at a crucial step in the famed animation studio’s production pipeline through 320-pages of eye-popping artwork. In celebration of the studio’s 25th anniversary, Pixar and Chronicle have prepared a jaw-dropping collection of colorscripts and other pieces from its productions in a brand new coffee-table book. For those not familiar with the unique tool, colorscripts are horizontal pieces of artwork that progress through the film to illustrate mood using color. When Chronicle describes the contents of its latest collaboration with Pixar as ‘rarely seen’, they mean it. You might think you’ve laid eyes on all the colorscripts from Pixar’s films, but you’d be surprised at what hasn’t been made available until now. Like their feature-length counterparts, Pixar short films oftentimes require elaborate boards, many never-before-seen, and they’re all included in The Art of Pixar. Readers will marvel at colorscripts from shorts as diverse as Boundin’, Hawaiian Vacation, Air Mater, Luxo Jr. and La Luna! As always, Chronicle has printed a full-color, glossy coffee table book that will look great in anyone’s collection. With a foreword from John Lasseter and introductions from animation historian and Cartoon Brew writer Amid Amidi, this publication is not only eye candy but an informative, albeit short, read. The Art of Pixar: The Complete Colorscripts and Select Art from 25 Years of Animation will hit bookstores on November 2.